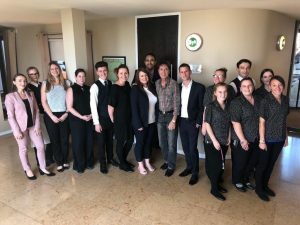 We have a fantastic team here at Hart’s Hotel and we thought you might be interested in learning a bit more about them. Each member of the team strives to be the very best at what they do, from making sure your room is spotless for your stay to encouraging you to book with us in the first place and everything in between. You will find a series of blogs where you will get to go behind the scenes with a different staff member and learn a little bit more about them and their role at Hart’s. We start by interviewing General Manager, Adam Worthington. What’s your background in hospitality and how long have you been in the hotel trade? I celebrate 20 years in hotel operations this year! Like so many I fell into the industry completely by good fortune, not really knowing what I wanted to do. I started my journey back in 1999 at the Aztec Hotel in Almondbsury (Bristol) as a general assistant on an annual salary of £8,300. Next, I started an exciting journey with Dakota Hotels at Dakota Nottingham, ultimately being promoted to general manager aged 25. 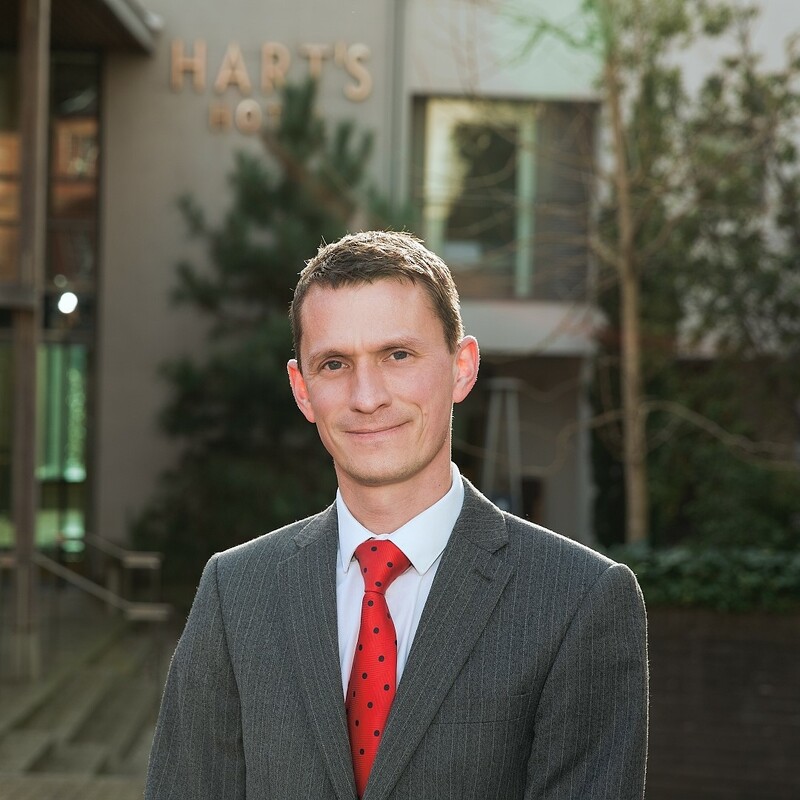 In June 2012, Tim Hart moved swiftly to secure my tenure as general manager at Hart’s Nottingham. I have thoroughly enjoyed the journey so far. What led you to this position at Hart’s Nottingham? Hard work, determination and perseverance! Tell us a typical day in the life of a General Manager? It’s difficult to explain a day in the life as a general manager really as no “one day” is the same as the next and the unexpected often presents itself, which is all part of the fun. Building teams that become self-sufficient in delivering a memorable guest experience. I like to encourage all my department heads to strive for excellence, it’s crucial to the ongoing success of this hotel. In your opinion what makes a great hotel? The staff of course, but also having your own high standards to measure yourself against goes a long way. I encourage the team to always question if there’s a better way to do things, and if there is we change it. We always try to adapt and evolve where we can. What is your proudest moment of your career to date? The proudest moment for me is becoming a St Julian Scholar and being recognised by the Master Innholders and Worshipful Company of Innholders as contributing to the success of our industry. Administration and being “tied to the desk”! I’m quite busy by nature and like to get out into the hotel and understand what the issues of the day are and to see that guests are being looked after. It’s what we’re here for. Sir Peter Blake, Michael Ball, Sir Cliff Richard to name a few. Who is your idol and who would you love to see staying at the hotel next? Sir Paul McCartney is my ultimate idol and I have met him personally. His contribution to popular music and campaigning for environmental causes speaks for itself. I’d love him to stay at Hart’s one day. 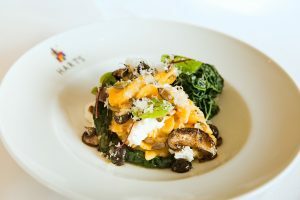 What is your favourite dish at Hart’s and why? Hart’s home-made pasta is my absolute fave. Very few restaurants are able to make their own pasta from fresh and I can honestly say ours rivals the very best Italy has to offer. “Campanelle” takes some beating! Do you have a favourite room in the hotel and why? Room 33 which is a suite located on the top floor of the hotel, in my opinion this offers the best view in the whole hotel. I like to spend time with family and with a 2-year-old daughter there’s not much time for relaxation as its usually go go go! I also like to listen to music and used to play in an indie band, many years ago. 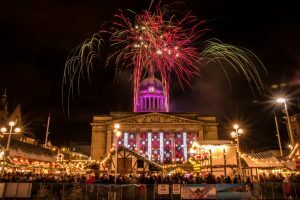 What’s your favourite thing to do in Nottingham? I like to dine out where I can and find Nottingham’s food and drink scene interesting, there’s certainly more choice than there ever has been. Describe a perfect day in Nottingham, that you would recommend to guests? Winter time in Nottingham is just delightful. I would enjoy a lazy morning at Hart’s with a late breakfast/brunch and then move into the Old Market Square and have a mooch around the Christmas Market and see what festive gifts I can treat the family to. I would then move onto some serious shopping Paul Smith or Hugo Boss and then head to Iberico World Tapas for some late lunch/early dinner. Back to Hart’s to freshen up, followed by a nice glass of Viognier and then catch a show at the Theatre Royal. Back to Harts for a night cap before retiring. How do you feel about the restaurant downsizing and what are you looking forward to most? It’s very sad but I’m very excited at the opportunity to continue its tradition at the hotel. We are absolutely committed to offering a memorable guest experience and am confident we will continue to build on our Hart’s fanbase. We look forward to welcoming you soon to Hart’s Nottingham. Click HERE to book a room.